Starved Rock Country's Very own Himalayan Salt Cave! Join society's movement toward wellness! So many people in today's world are looking for more proactive choices to support their health and well-being. 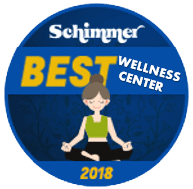 Our goal is to provide some of the latest natural healing methods and educational opportunities to help you guide your body back to a functional, balanced, and healthy state. Our services include: Dry Salt Therapy in our Himalayan Salt Cave, Dry Hydrotheryapy, Migun Thermal Massage Bed, Full Spectrum Infrared Sauna, Ionic Foot Detox/Reflexology/Massage, and Body Vibration Therapy. Learn to RELAX and choose your own way to wellness! and Salt ~ Sip ~ Swirl with Cat'sEye Wine Bar when visiting the Starved Rock area! Visit our Unique GIFT SHOP where you will find the BEST selection of Himalayan Salt Lamps around! Plus Self-Care Products such as Organic Soaps, Himalayan Salt Scrubs, our signature Bath Salts, Facial Care, Body Bliss Organic Spa Aromatherapy Products; CBD oil products by Medterra; Salt Inhalers; Edible Himalayan Salt & Cookware; Hand-built Pottery by Wolf Tracks Pottery; EnergyMuse and other Handmade Jewelry; SolMate Mismatched Socks; an interesting Book Selection; Home and Space Clearing products; Pendulums; our awesome salt cave Sherpa Blankets; and a large inventory of Young Living Essential Oils. We are the area's foremost authority on Himalayan Salt and Essential Oils! "Today I had the pleasure of experiencing the Dry Hydrotherapy AquaEscape Bed & the Salt Cave. If I lived in town this would be something I'd do on a regular basis....ahhhh! It felt so good. 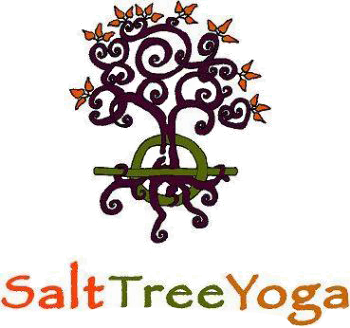 I would highly recommend SaltTreeYoga to anyone looking for a place to just relax. As soon as you walk in the whole atmosphere sets the tone to just breathe and be at peace. Not only will you feel relaxed and at peace you will also receive all the health benefits of the services available. The staff are very knowledgeable, friendly and accommodating. If you are in the area I highly recommend giving this place a try!" "What a wonderful experience! The ambience of SaltTreeYoga is serene and healing. I was unsure about what to expect in the Salt Cave but found it to be the perfect place to breath deeply and fully. I even took the opportunity to do a little yoga while in there. I also tried the Hydrotherapy and it was pure bliss floating weightless in the warmth. Treat yourself to a few hours with Diana and her accommodating staff and leave the world behind as you relax and renew." "I just got done using the Hydrotherapy bed at SaltTreeYoga and it was life changing! I have fibromyalgia and the time I spent in the Hydrotherapy bed was the first time in a long time that I have been pain free. The facility is beautiful and a completely relaxing environment, it's clear that every detail had been thought out and carefully planned. AND to top it off the ladies there were so friendly and helpful showing me around and explaining all they have to offer. Thank you! I will be back!"